This post is sponsored by SimplyCircle. All opinions are my own. You may have seen my list of 6 Tools for Communicating with Parents featured earlier this week (link below!). 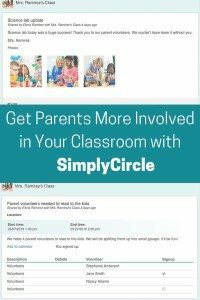 Here’s another to add to your list: SimplyCircle is an online parent communication portal for classrooms, schools, and parent groups. It is private, secure, and easy to use. It has both free and paid plans. 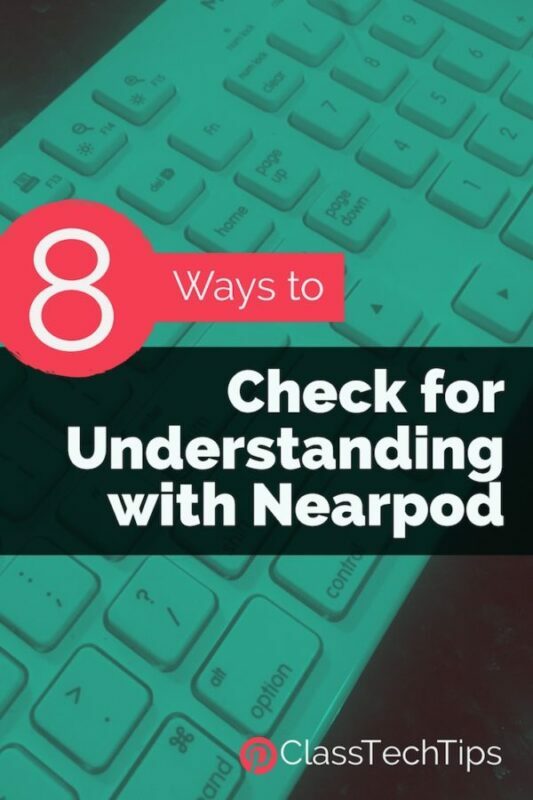 You can share updates and newsletters, post photos and documents, and invite parents to field trips, classroom parties or school events. Parents can access the portal from the web or via free mobile apps. 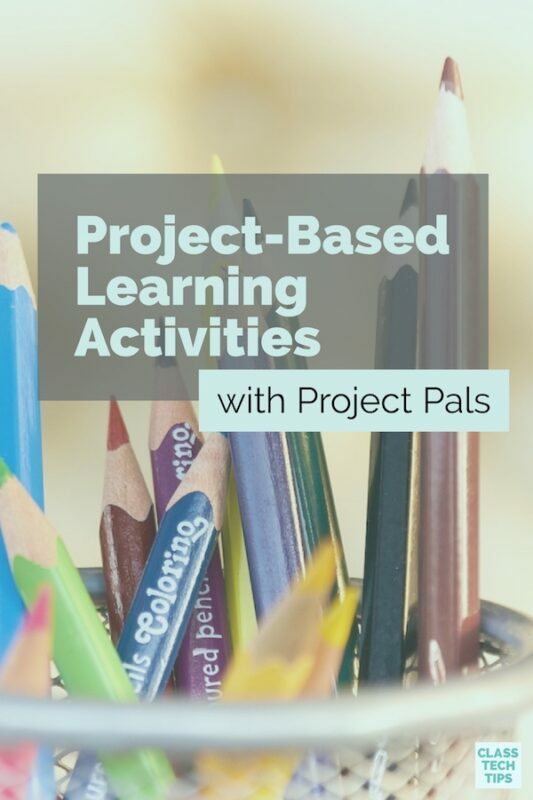 They also receive emails with the new information you shared, as well as email reminders about upcoming events and deadlines such as field trips, classroom parties and school concerts. Your private website includes a newsfeed, a calendar, a searchable archive of photos and documents, automatic reminders, and email notifications. No more “dog ate the permission slip” or “I had no idea the school concert was tonight” excuses! Online signups. You can ask parents to volunteer in the classroom, chaperone a field trip, or sign up for a parent-teacher conference. Parents sign up with just one click, and get reminded of their commitments. Event RSVP. You can get a headcount for a classroom party or a school fundraiser, taking out the guesswork from how many parents will show up. 1:1 messaging. You can make your circle interactive, which lets everyone in your circle send private messages to each other without looking up email addresses in a school directory. Parent participation. You can allow parents to comment on your posts, or share their own posts or photos. Reaching “guest” users. You can send emails even to parents who have not created a SimplyCircle account. They will still hear about upcoming events, get requests for volunteers, and receive updates and newsletters. Visit SimplyCircle website to learn how you can increase parent engagement!